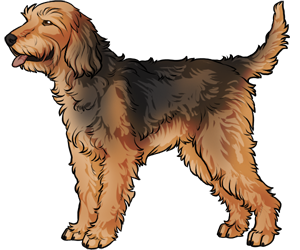 Believed to originate in France, the breed was developed by crossbreeding Bloodhounds with Terriers. They were used to hunt otters who were eating the local fish supply. They are not considered to be kid, pet or apartment friendly. They are a very rare breed and are also one of the largest scent hounds.